In 2014 North Warwickshire & South Leicestershire College submitted a bid to the Leicester and Leicestershire Local Enterprise Partnership (LLEP) Growth Fund for a grant for the construction of a Skills Training Centre on the site of the MIRA Enterprise Zone, Nuneaton, Warwickshire. Following a detailed contractural negotation and procurement process, managed by Fellows a contact to construct the state of art facility was agreed in 2017. 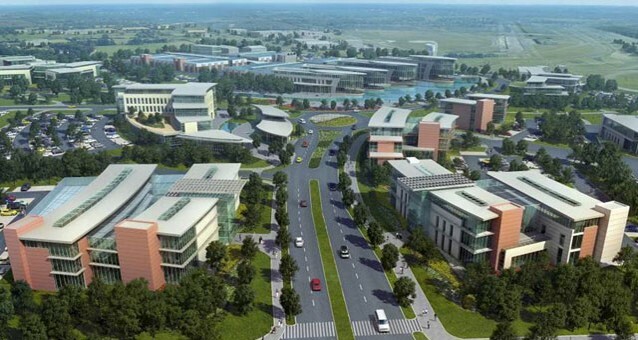 The unique offering of the Training Centre will prepare 500 people per year with skills in research, development and engineering, with many of these potentially filling vacancies on the MIRA Technology Park. Fellows Construction Consultants have been appointed by North Warwickshire & South Leicestershire College to act as their Project Manager for the new Skills Academy on the MIRA Technology Park Enterprise Zone in Hinckley, Leicestershire. Working closely with the College and associated stakeholders, MIRA, Coventry University, University of Leicester and Loughborough University, the Fellows team are working with the College SMT to manage the operational, curriculum and development requirements for the proposed state of the art facility.